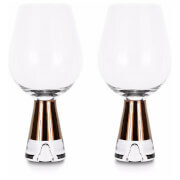 Generously-proportioned pair of whiskey glasses from British industrial designer, Tom Dixon. 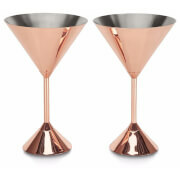 Made from mouth-blown clear glass, the set of two Tom Dixon Tank glasses are designed with rounded edges and hand-painted copper strip detailing to the middle section. 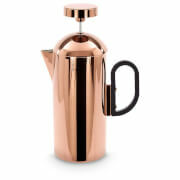 The glassware is presented in an attractive gift box.